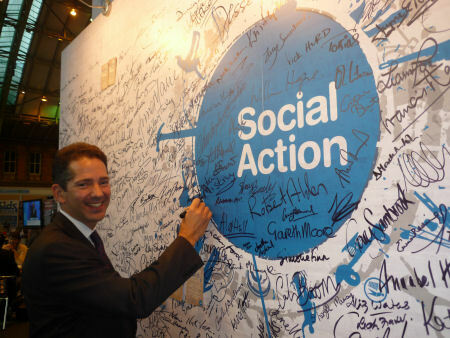 Jonathan Djanogly, the Member of Parliament for the Huntingdon Constituency, spent an enjoyable half hour taking part in the Conservative Party’s social action project at Conference this year. He went to the Conference’s specially designed, world-class ‘Social Action Zone’ within its conference venue and recorded a short story for Calibre Audio Library, a self-funded charity that operates an audio library for visually impaired people, free of charge. Jonathan joined a number of other Ministers, Members of Parliament, Party Staff, journalists and delegates who also recorded a story – as well as members of the Cabinet, who read a selection of children’s stories.